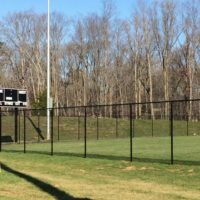 Parks and recreational facilities are designed to be used, so our focus is to get in, get the job done as efficiently as possible, and get back out, all while working to minimize any disruption to the facilities or communities that use them. 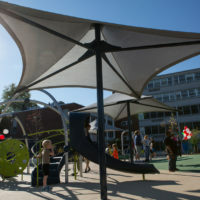 A particular concern for these types of projects is that children are very often present. 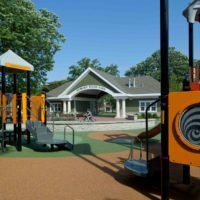 To minimize risk, we place a strong emphasis on safety procedures and education, not just for our crews but also for park employees and the general public. 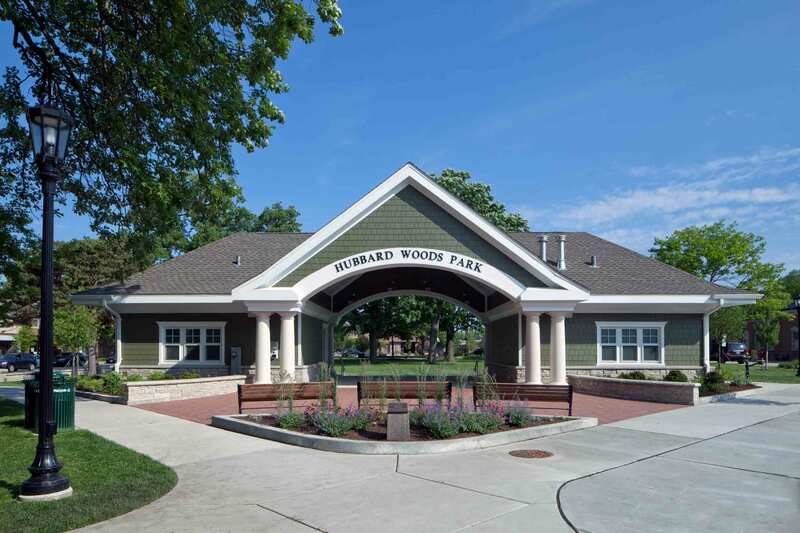 Decades of construction experience allows us to take a very active role in working with owners to understand what they want to accomplish from a program perspective, and then to develop a plan to get the work done in as timely, effective and safe way as possible. 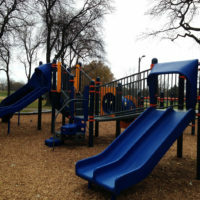 This is one of a series of JOC contracts with the Chicago Park District, the first of which was in 1994. 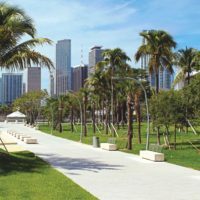 There is no maximum dollar value and projects are site specific, ranging from building renovations to site improvements. 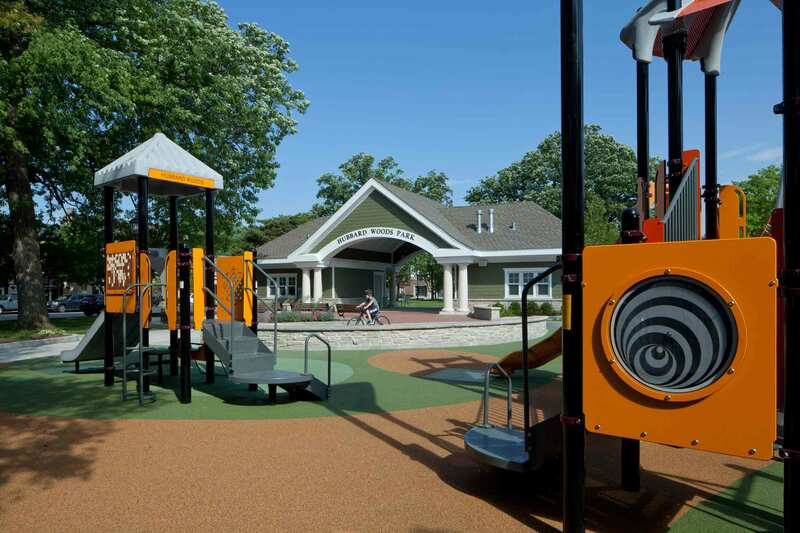 Work includes paving, swimming pool and playground equipment upgrades, sports fields and courts, interior build-outs, demolition, abatement, landscaping, concrete, masonry, elevators, ADA and mechanical upgrades, roof replacements, electrical work, and emergency repairs. 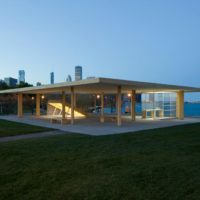 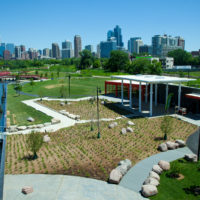 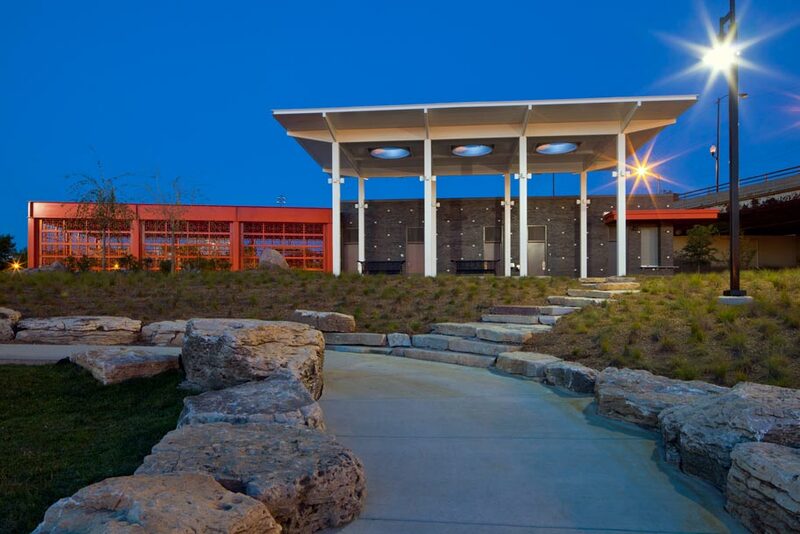 This project involved the construction of a park pavilion structure to serve as the stage area for summer concerts and to house public restrooms for the new park. 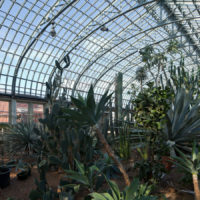 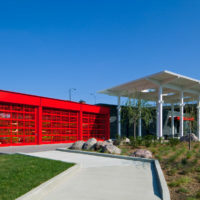 Work included the demolition of an existing structure, and construction of the new one-story pavilion structure. 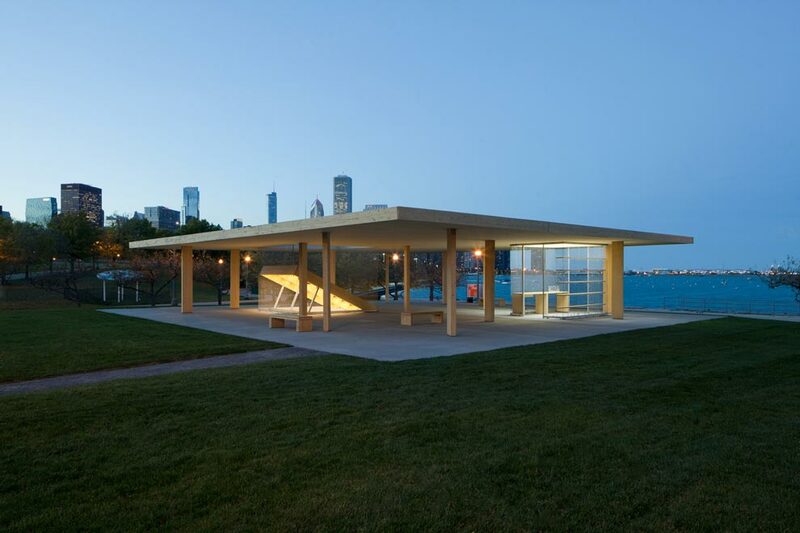 The pavilion has a stone masonry wainscot on the exterior with pre-finished fiber cement siding and trim. 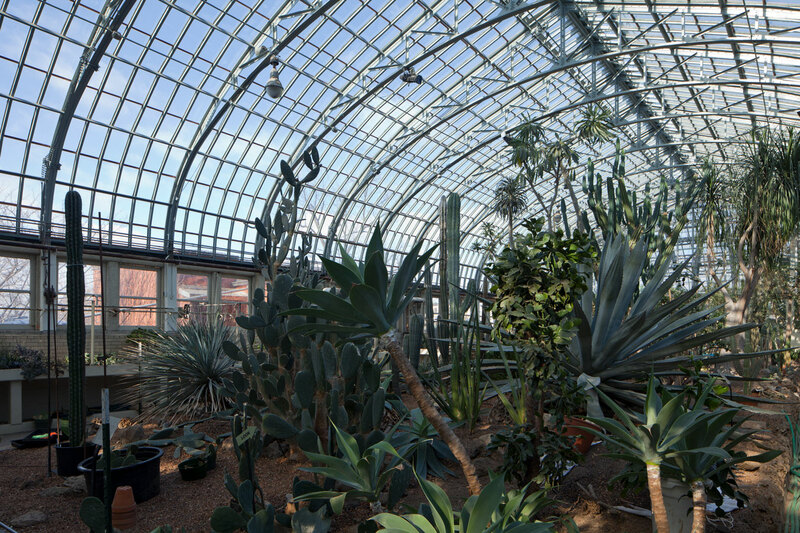 Decorative GFRC columns are located on the North and South sides at the open stage area. 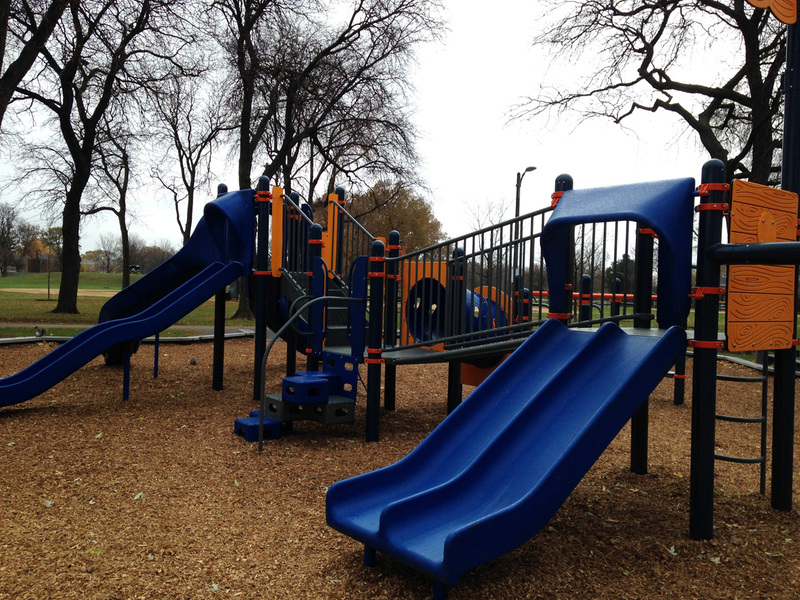 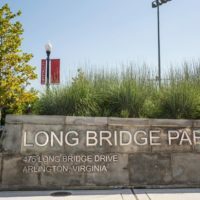 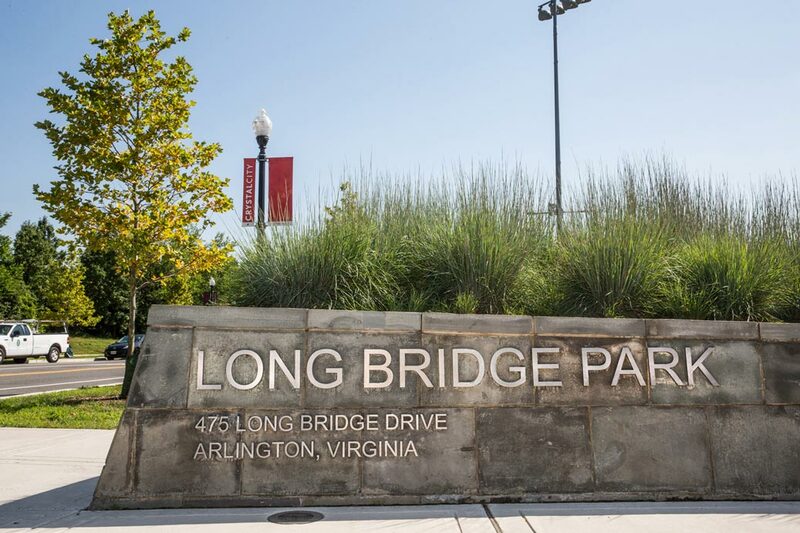 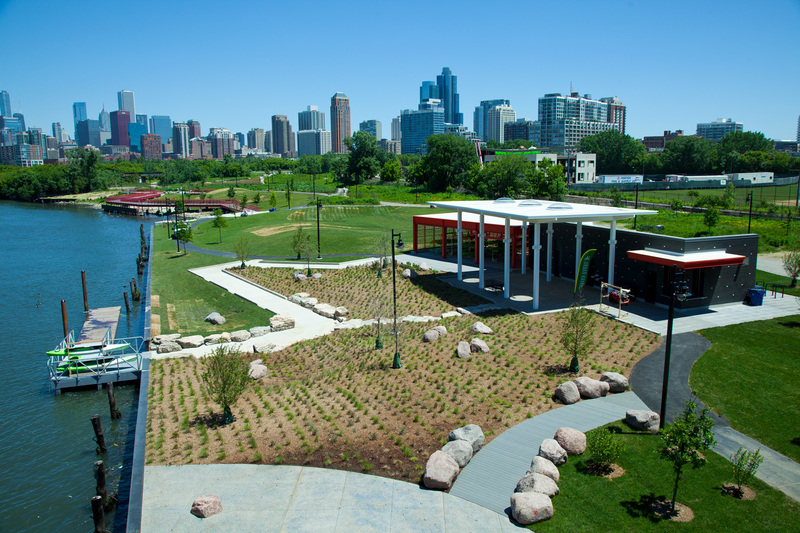 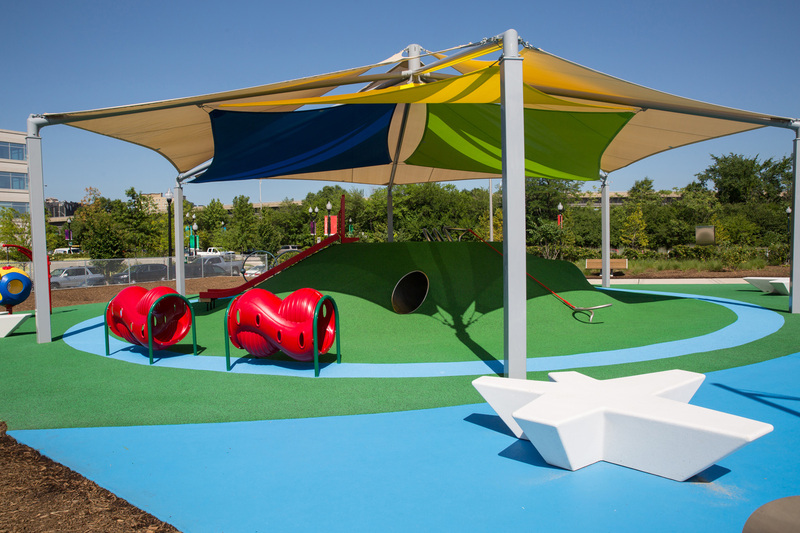 This project covered construction services for playground areas at Long Bridge Park. 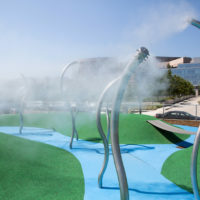 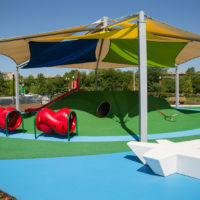 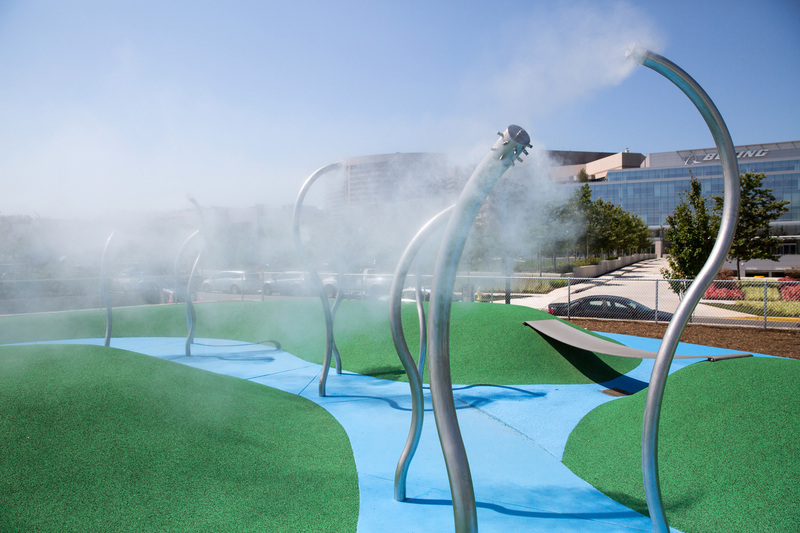 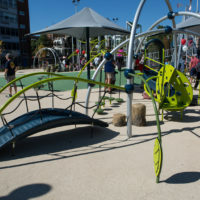 It included the provision and installation of site storm utilities, concrete sidewalks, playground equipment, high pressure fog system, playground surfacing, and custom site furnishings. 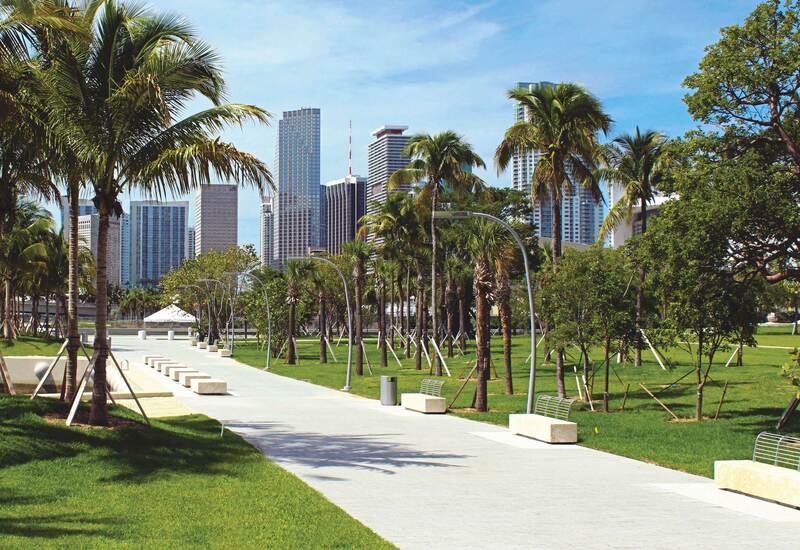 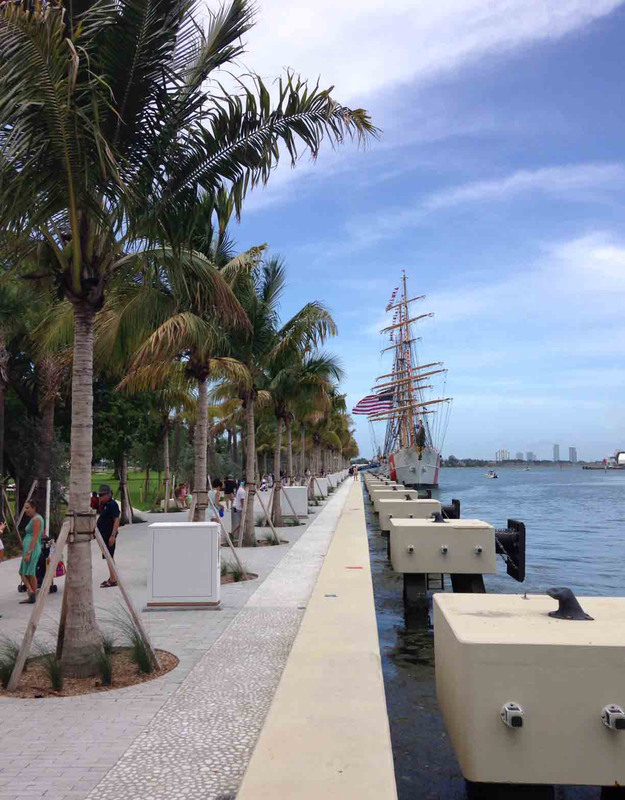 Phase Two of the The Museum Park project consisted of soil remediation, demolition, earthwork, underground drainage, water utilities, a paver baywalk, concrete sidewalks and pathways, tree transplants, lighting, site furnishings, landscaping and sod, and irrigation. 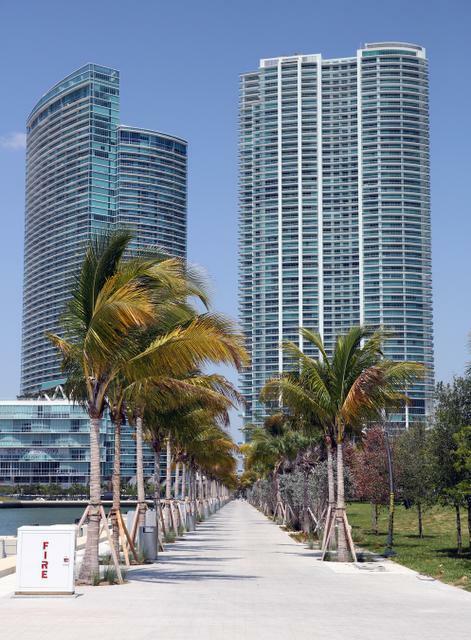 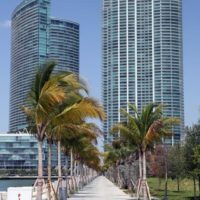 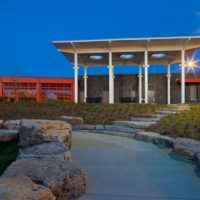 Phase Three consisted of a paver promenade walkway, concrete stairs and ramps, concrete sidewalks and pathways, retaining walls, lighting, site furnishings, landscaping, and promenade walkway irrigation. 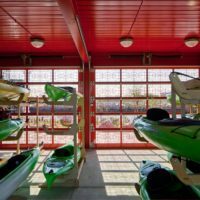 The Ping Tom Park Boat House is a kayak and canoe storage/vending facility. 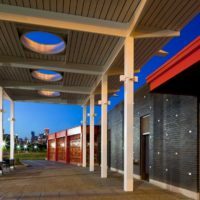 It is a one-story, 2,458 sf, three-season building. 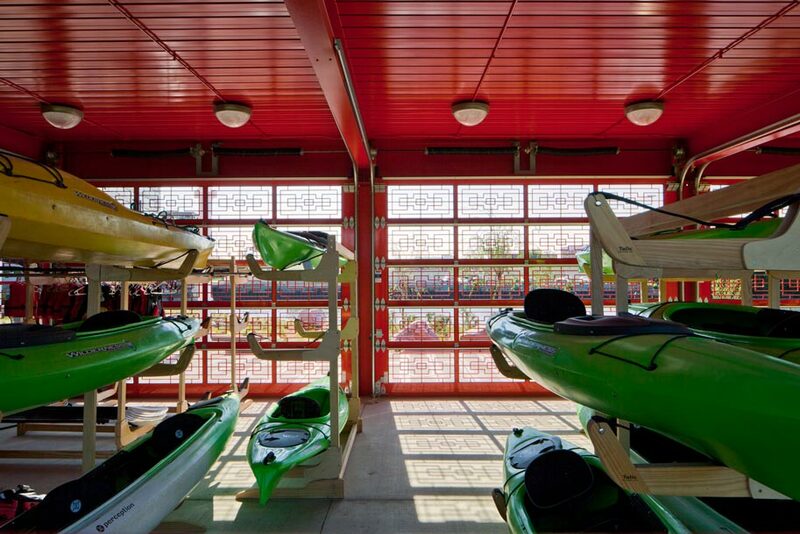 Part of the facility is an enclosed storage area with ornamental fencing for kayaks and canoes. 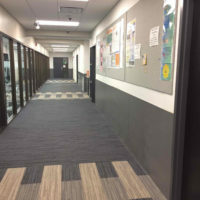 The other section of the building houses restrooms, an office, and a janitor’s closet. 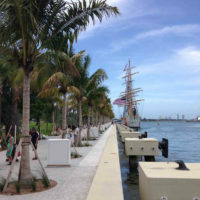 The exterior plaza space consists of a metal canopy and a walk to a floating dock. 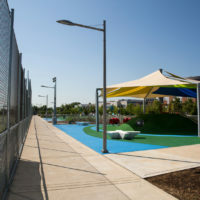 Site amenities include paving, landscaping, and lighting. 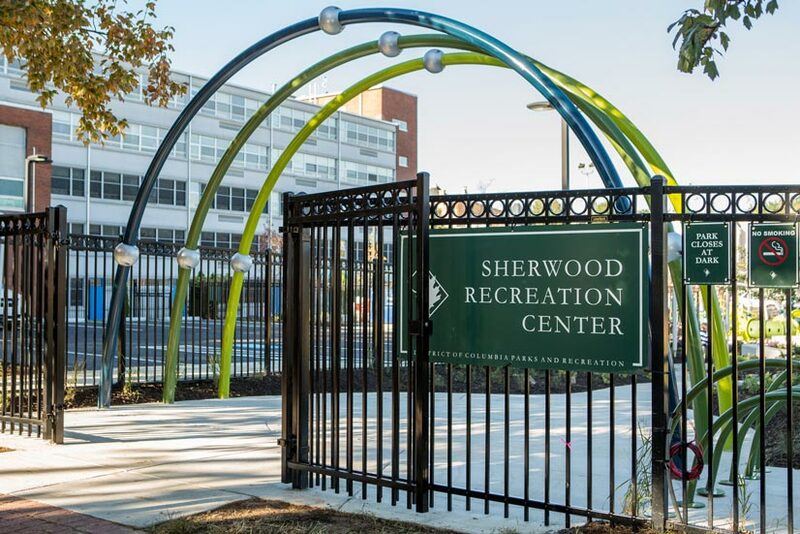 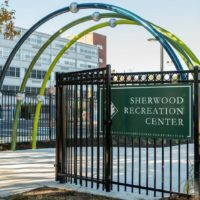 The Sherwood Recreation Center and the Goding Elementary School shared play area was built to accommodate the recreational interests of both the community and the school. 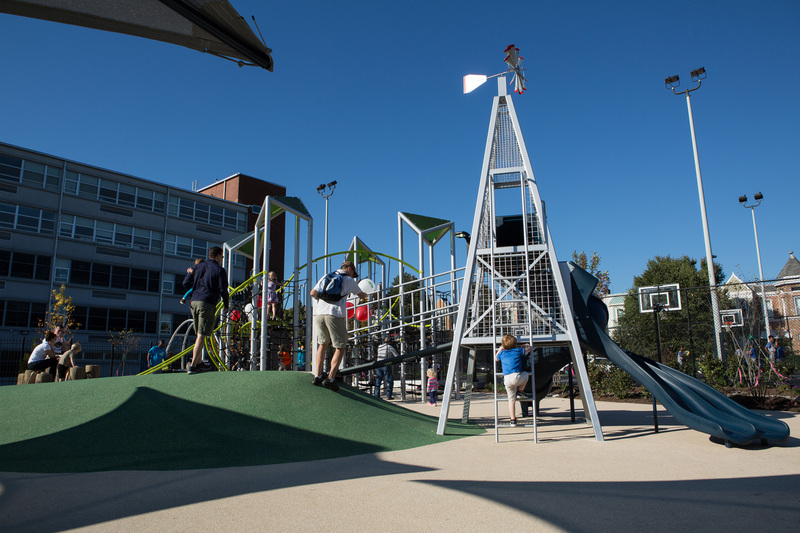 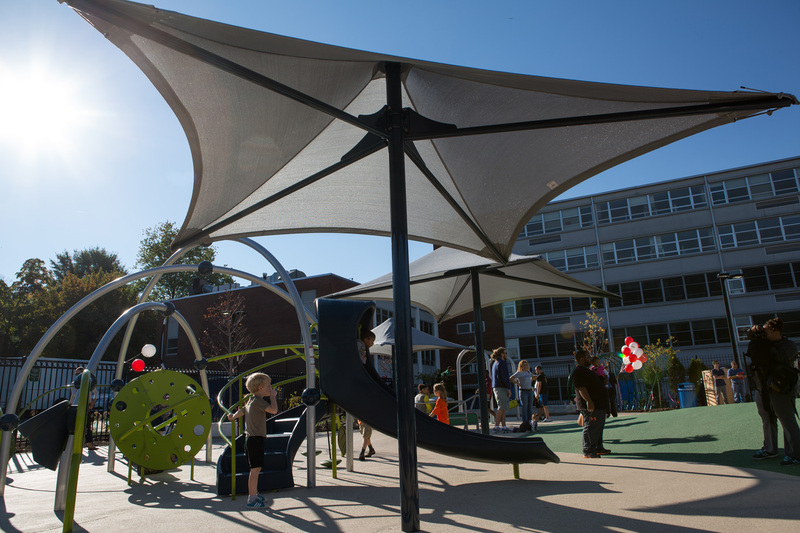 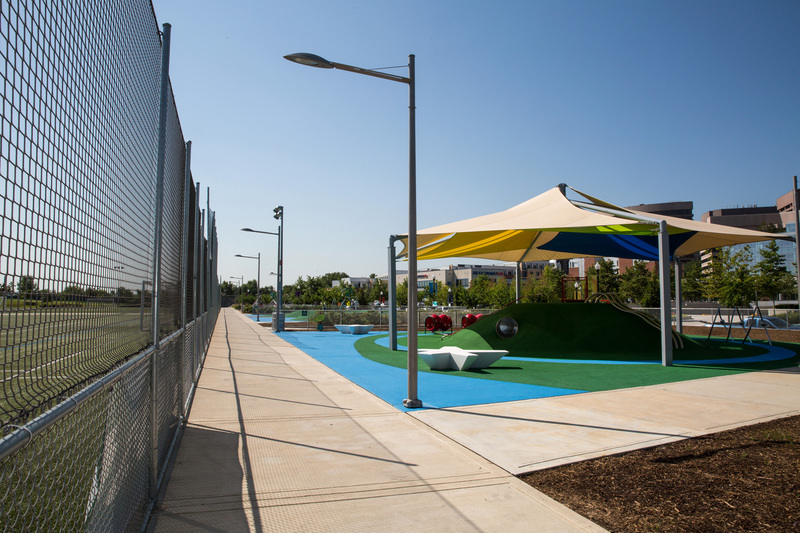 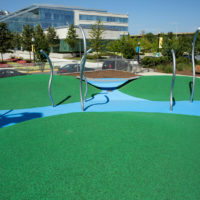 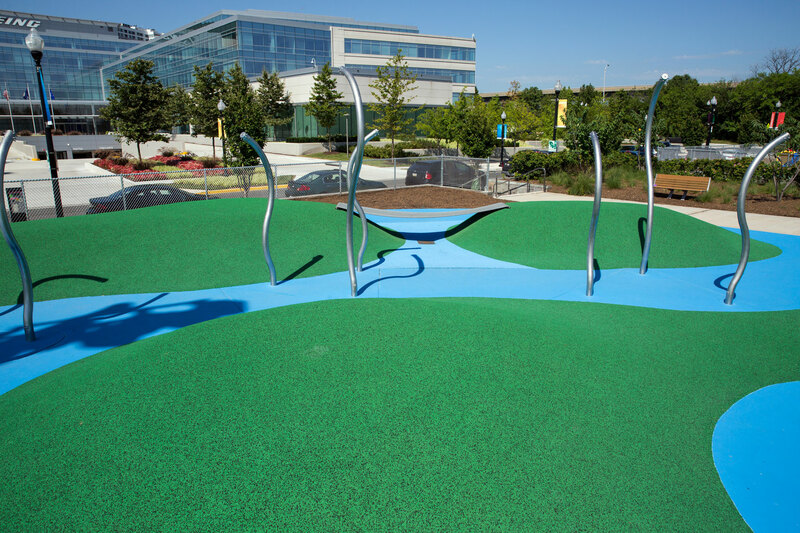 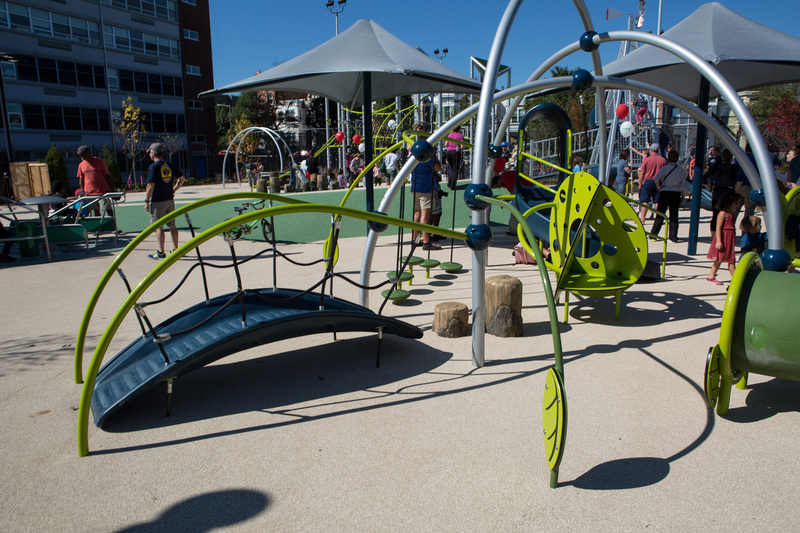 Work included a new playground and play spaces with educational features, landscaping and irrigation, and the refinishing of existing parking lots. 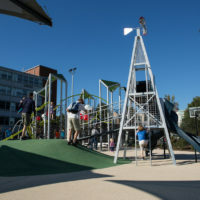 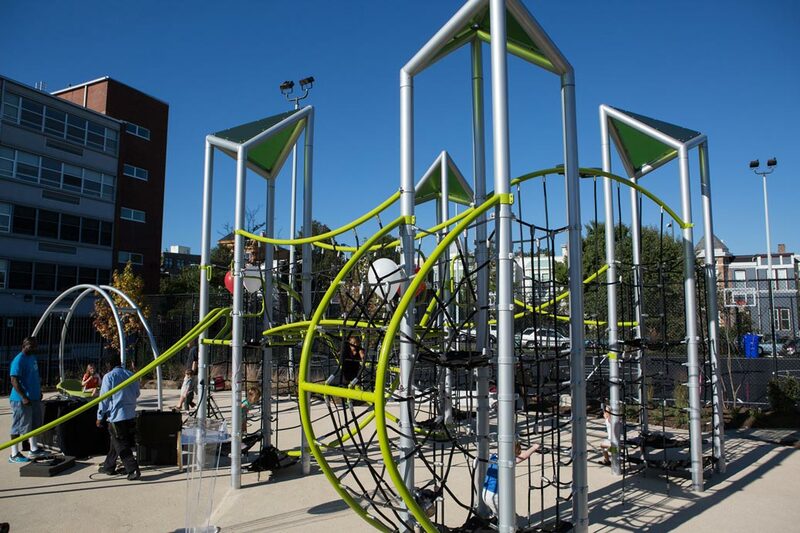 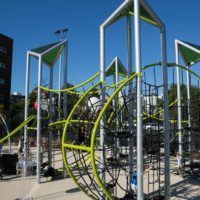 New features include a geometric climbing structure, windmill slide, human sundial, outdoor classroom, bird houses, swings, and ADA accessible merry-go-round. 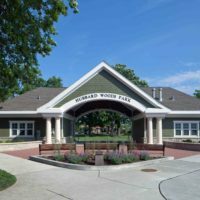 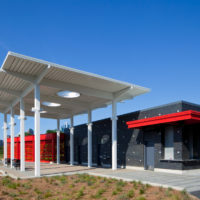 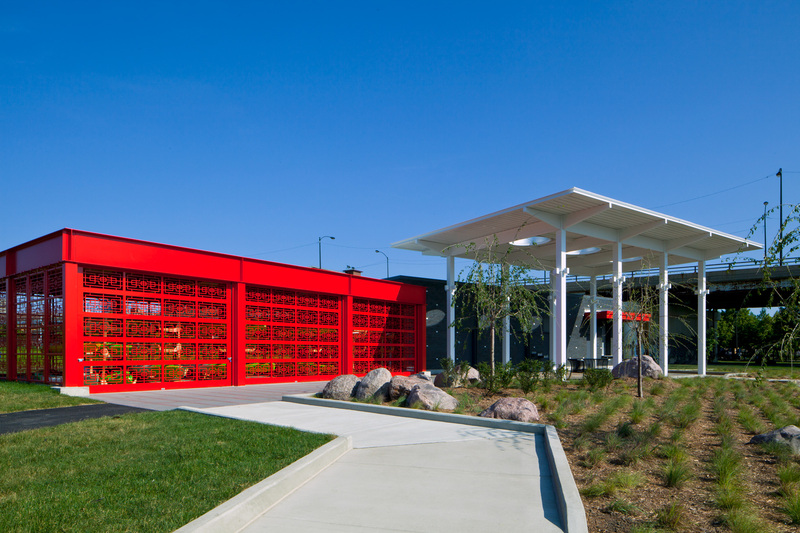 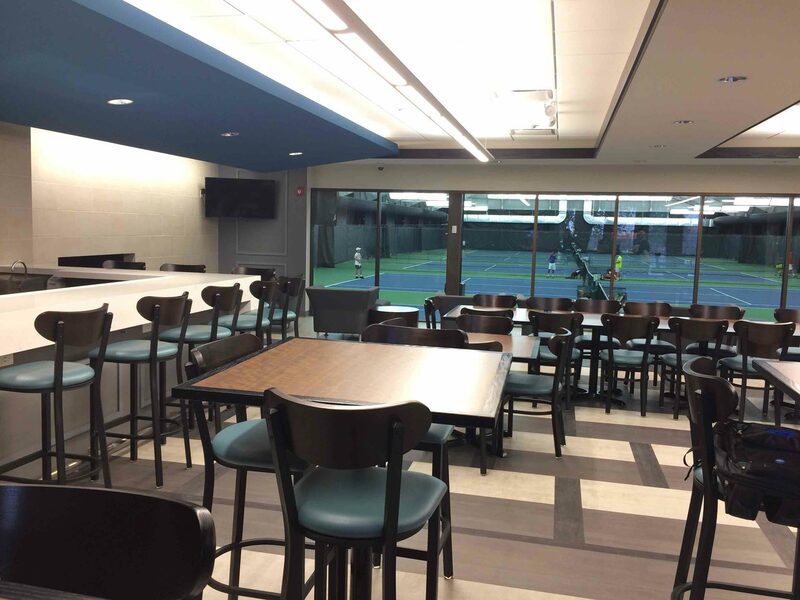 As part of a project to update The Schaumburg Park District facilities, this contract included the renovation of Tennis Plus and the Bock Neighborhood Center. 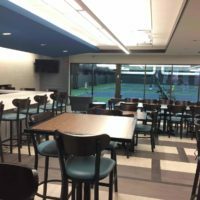 Tennis Plus Facility: The entry/lobby space was gutted and reconfigured to make it more welcoming and to allow for better traffic flow into the building. 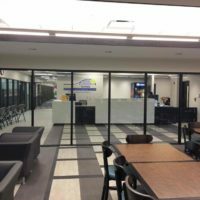 Stairs were relocated to the kitchen so they would be out of the public space, and the lobby was completed with upgraded finishes. 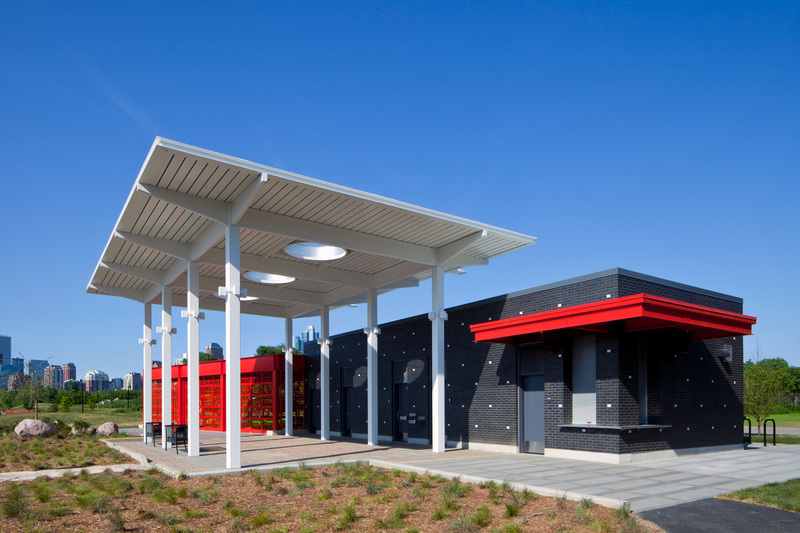 We also rebuilt two offices, an IT room, a nursery and two single stall restrooms. 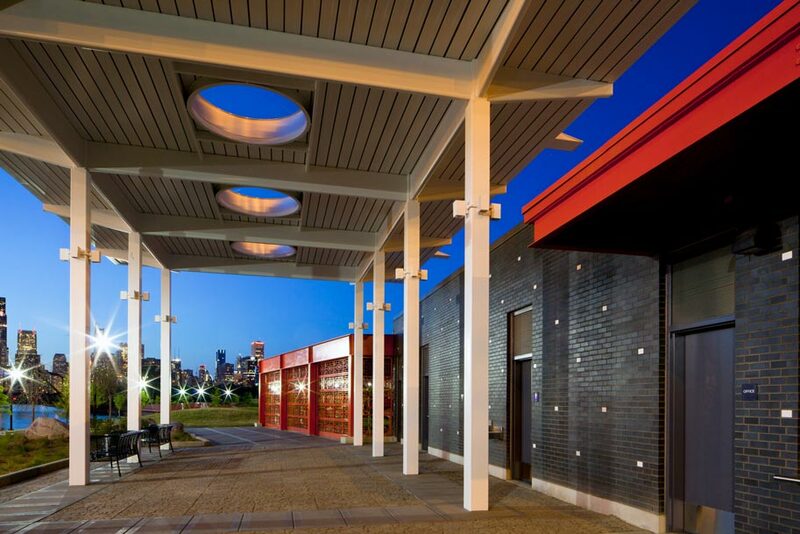 Bock Neighborhood Center: This portion of the project involved gutting the main entry/lobby, classrooms, and offices to reconfigure and update the space so that it was more modern and functional. 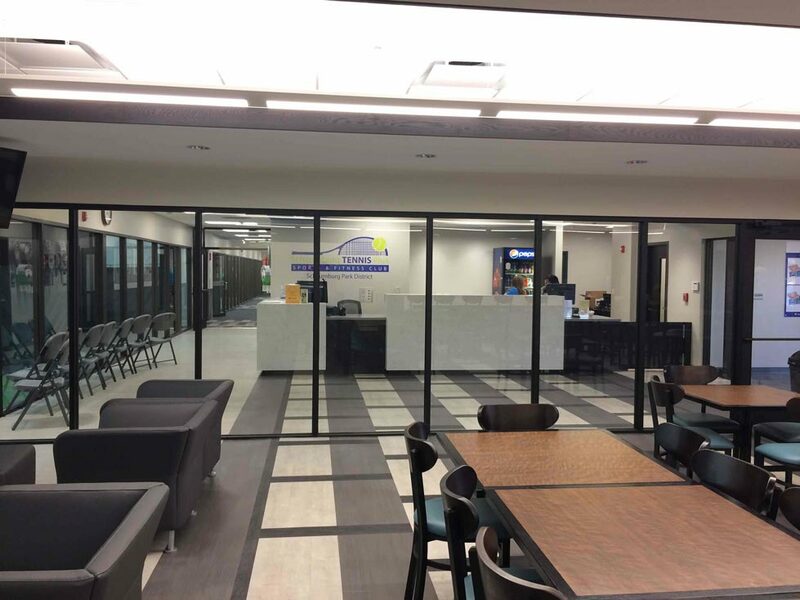 The new layout included a renovated lobby, three offices and two classrooms. 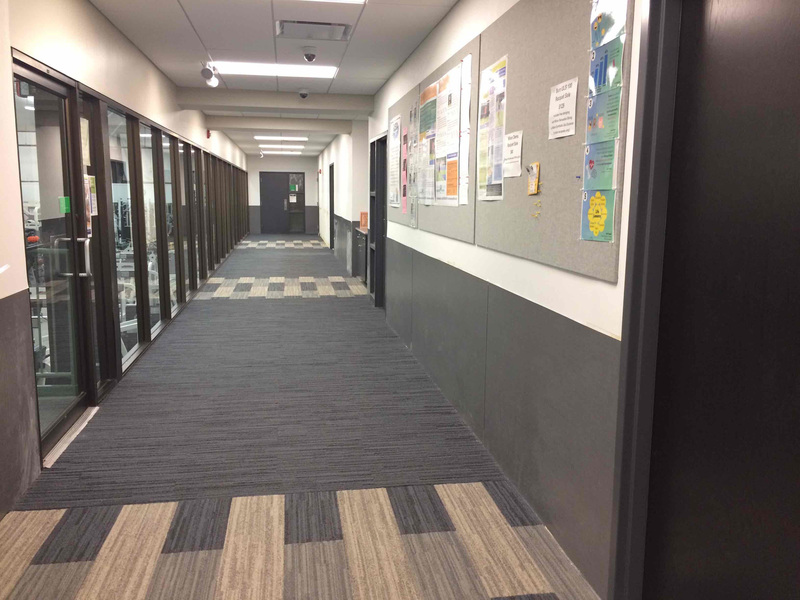 All finishes, casework and flooring were upgraded and a new vestibule was built as part of the new entry. 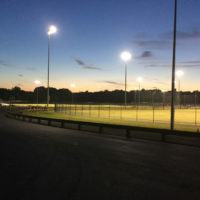 The mechanical system and lighting were also upgraded to make the systems more efficient. 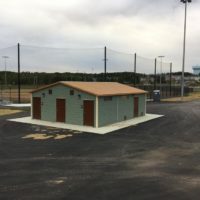 For this park project, improvements were made to sports fields, public restrooms, and a parking lot. 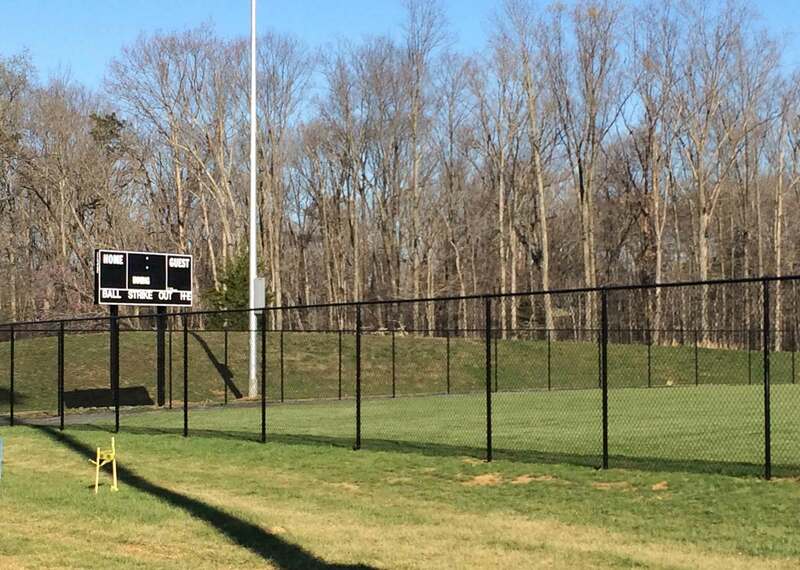 Six baseball fields were given new outfield fencing, warning tracks, bleacher pads, dugouts, bullpens and scoreboards; and mixed-use paths were installed between the athletic fields and from the parking lots to the fields. 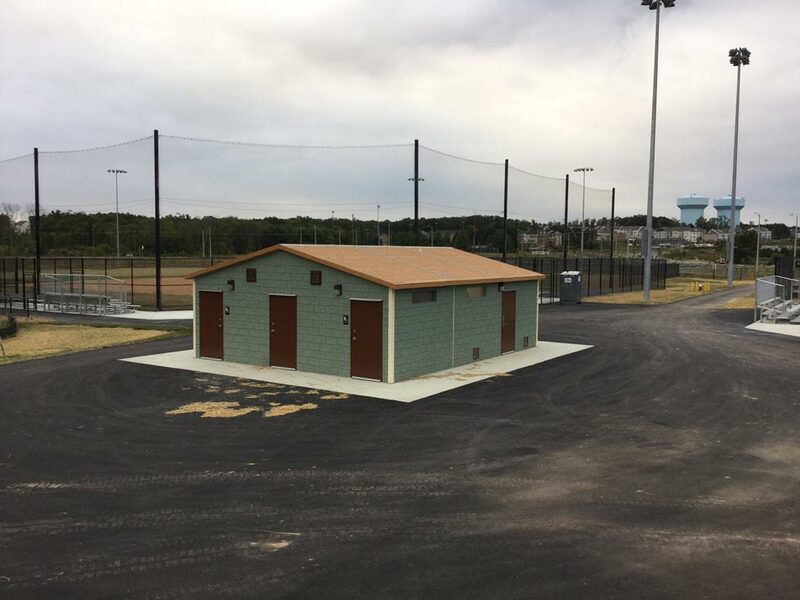 Two pre-manufactured restroom buildings were installed, and included building pads, utility stub-ups, and sanitary holding tanks. 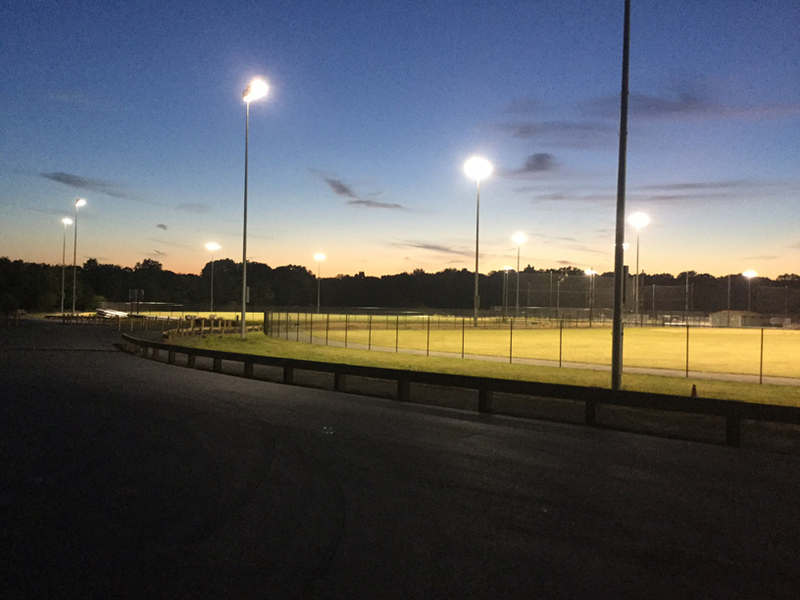 Other updates included landscaping, lighting, and a conversion of the existing gravel parking lot to asphalt.